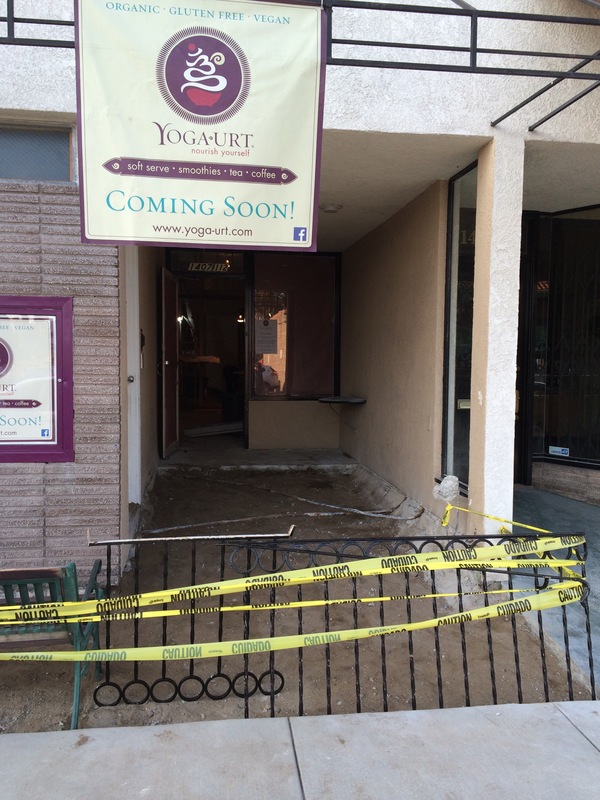 It was a year ago this week, that we started construction on Yoga-urt. So hard to believe! I’m starting to get very sentimental as we head towards the 1 year anniversary. It blows my mind just thinking about it. At this time last year, things were so crazy for me. 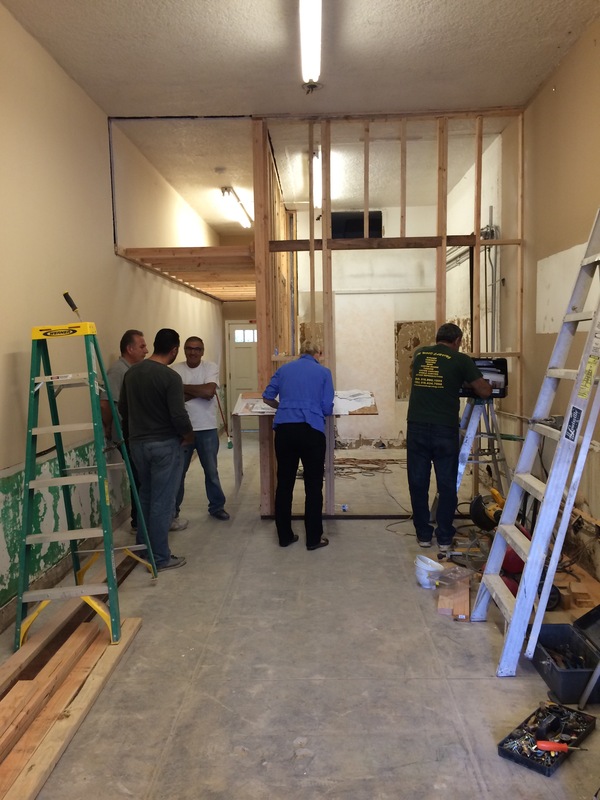 I had met with about 5 different General Contractors, trying to find the right price and the right fit. None of them were the right price as my budget was super tight, but I still needed to make a quick decision as I felt SO MUCH PRESSURE to get the store open for as much of summer as possible. I had narrowed it down to two, but was struggling big time about which one to go with for many reasons. Ultimately, even though I went over my budget, I know I made the right choice. I had a great GC and I remember very clearly their first day. 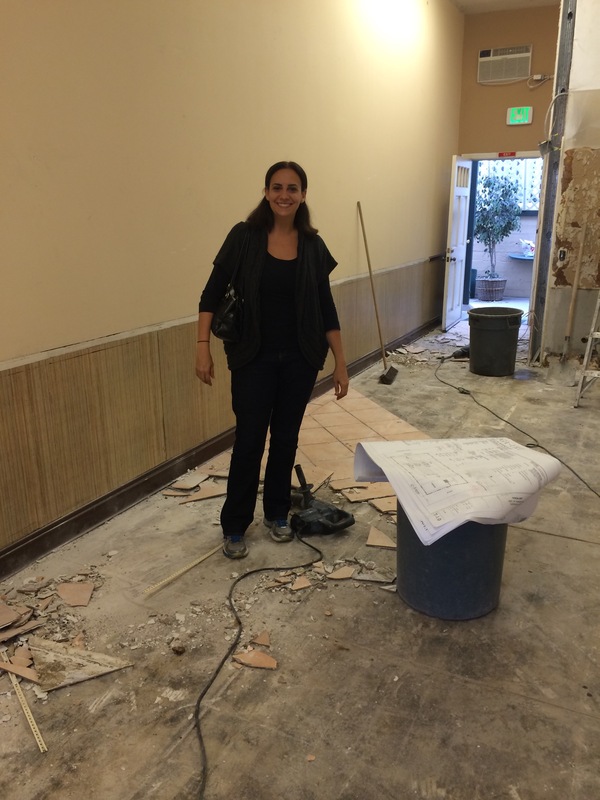 I was pushing so hard to start construction, and when they called to tell me they started to tear everything down, it was such a huge relief. It had started. Yoga-urt was on its way. I was SO HAPPY!!! Walking in and seeing the previous store gone was amazing. Clean slate, but the clock was ticking. The construction phase was intense. I had my full-time job as well (as I still do), so the juggling was CRAZY! So many decisions had to be made. So many visits to the store and design places. So much planning in general for our opening. OMG!!! The list goes on and on. Yes, there are some things I would do differently, but overall it is perfect. I’ll be sharing more stories about the journey to opening as we get closer to our Anniversary weekend on July 23/24!